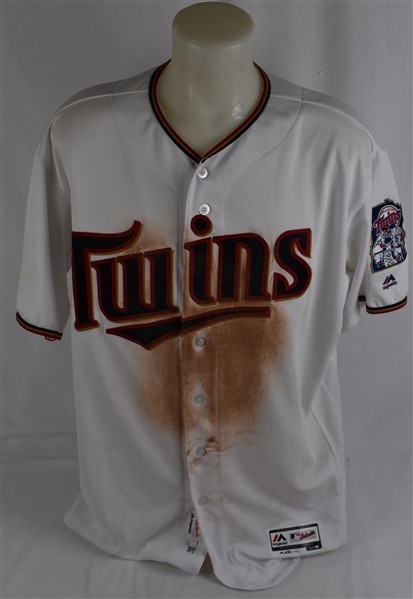 This lot features a Joe Mauer Minnesota Twins professional model home white jersey exhibiting excellent overall use from the game in which the Twins played the Miami Marlins on June 7th, 2016. 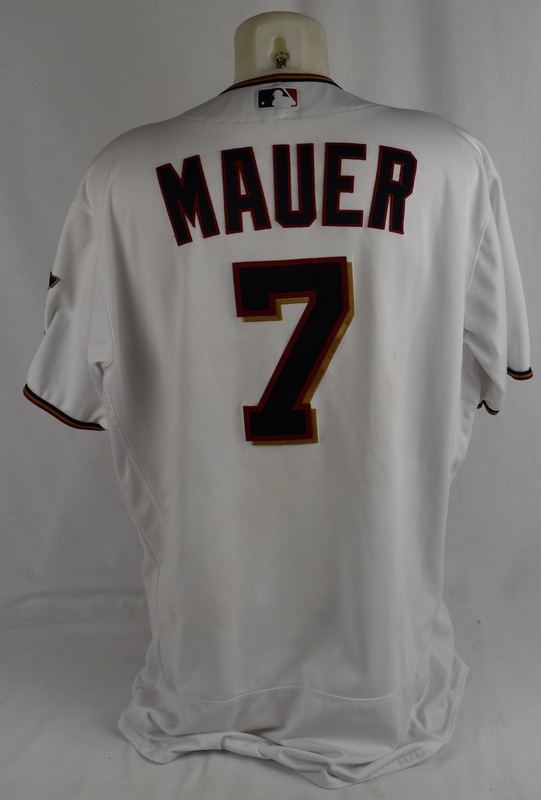 Mauer had a hit and a walk during the Twins 6-4 victory over the Marlins that game. 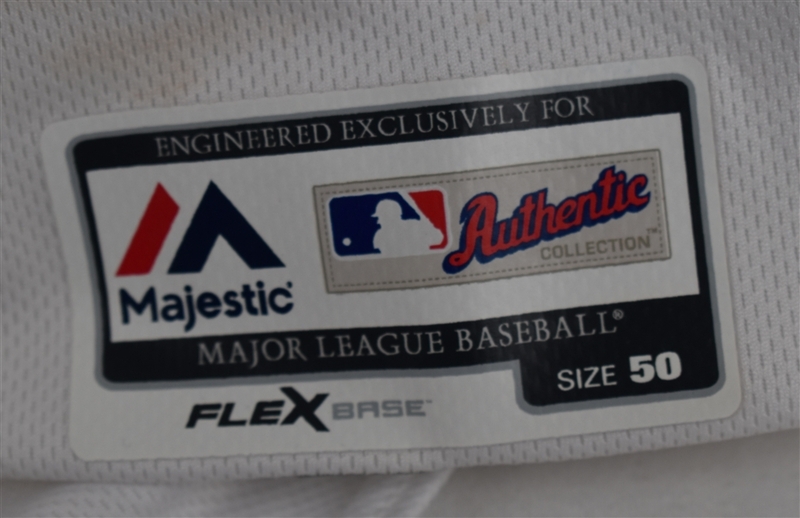 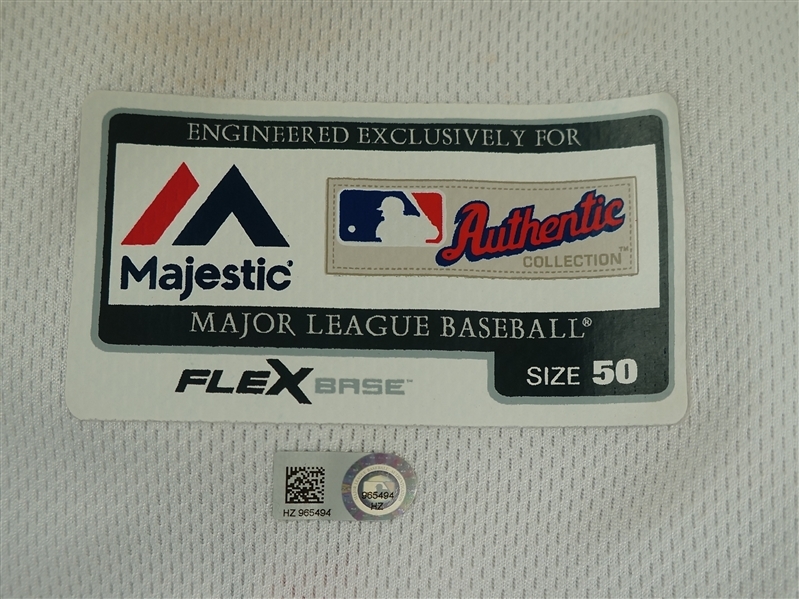 Joe Mauer jerseys are extremely difficult to obtain and are typically snatched up before the majority of collectors ever have a chance at them. Mauer has 3 AL Batting Titles and an AL MVP Award during his career with the Twins. With Mauer recently retiring from baseball, fans have begun to appreciate how great a career he had. Given he won 3 batting titles while playing catcher Mauer has a very real chance to be inducted into the Hall of Fame one day. 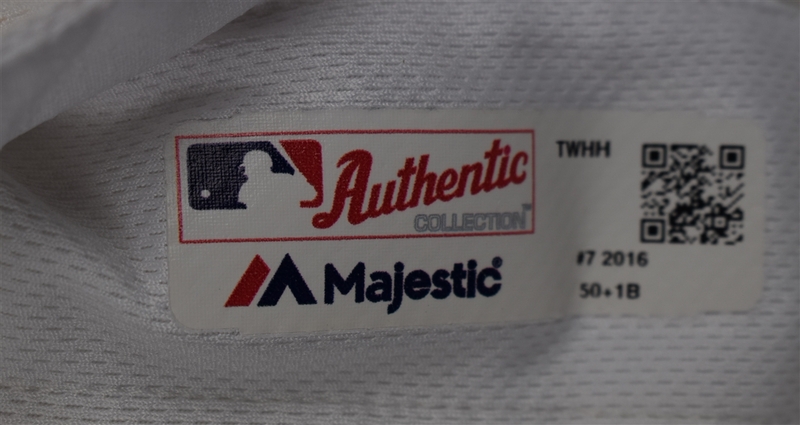 MLB Authentication number: HZ965494.